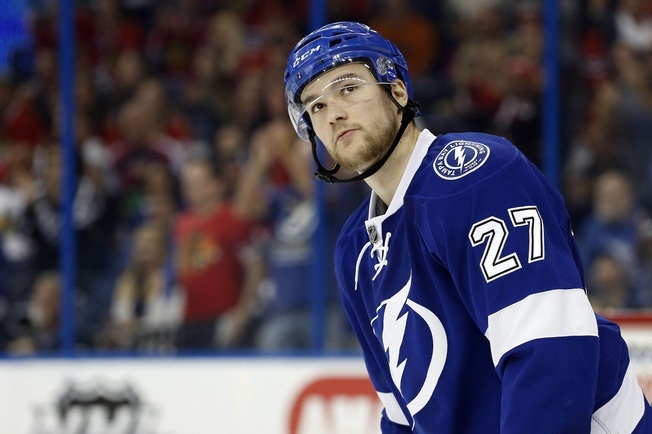 The Tampa Bay Lightning have traded forward Jonathan Drouin to the Montreal Canadiens in exchange for defenceman Mikhail Sergachev. Drouin promptly signed a six-year deal with the Canadiens. Drouin was set to become a restricted free agent on July 1 and Tampa Bay would’ve had to protect him in the upcoming expansion draft, even if he was headed to free agency. With Sergachev signed to an entry-level contract, there is no need to spend a protection spot on him in the draft. The trade therefore addresses the needs of both teams, but it’s hard to shake the shadow of the expansion draft and its role in the deal. In Drouin, Montreal gets a skilled forward capable of breaking games open. He had 53 points in 73 games last season, including 21 goals, and has 14 points in 23 career playoff games. Sergachev is a promising prospect, but it’s hard to imagine Tampa parting ways with Drouin if other circumstances weren’t in play. They were up against the salary cap and had the expansion draft to consider, so the trade was more a matter of necessity than need. That doesn’t mean Sergachev doesn’t meet Tampa’s needs, of course. The club requires an infusion of defensive talent and the 18-year-old fits the bill. He was selected by Montreal in the first round of the 2016 NHL Entry Draft and saw some time in the big leagues. There are some conditions related to the deal, too. Draft picks will be swapped only if Sergachev does not play at least 40 games in the regular season and playoffs.